Worcester, MA (July 5, 2018) – An elderly couple from Worcester died in a July 4th crash. The crash happened Wednesday afternoon around 2:45 pm at Berry Road. Officers responding to the scene found the couple, an 87 year old man and an 82 year old woman, trapped inside their vehicle. An ambulance rushed the couple to a nearby hospital where they were pronounced dead. 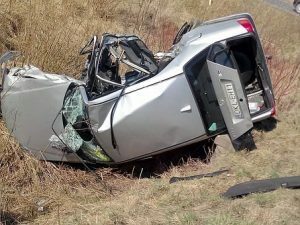 Witnesses reported seeing a 2011 Camry traveling on Lynnwood Lane before running through a stop sign and crashing into a boulder, apparently without slowing down. The vehicle was observed to be traveling in the wrong direction on the opposite side of the road just before the crash. There is no word on what caused the crash to occur. Authorities are still investigating all possibilities and have not ruled out any potential causes at this time. The deceased couple has not been identified.